Ending 14 – from a British novel published in 1920 | Steer Forth! ‘Did you need Gerald?’ she asked one evening. ‘Aren’t I enough for you?’ she asked. ‘Having you, I can live all my life without anybody else, any other sheer intimacy. But to make it complete, really happy, I wanted eternal union with a man too: another kind of love,’ he said. ‘You can’t have it, because it’s false, impossible,’ she said. ‘I don’t believe that,’ he answered. This entry was posted in Literature, Love, Novel, Novel endings, Novelists, Writing. Bookmark the permalink. 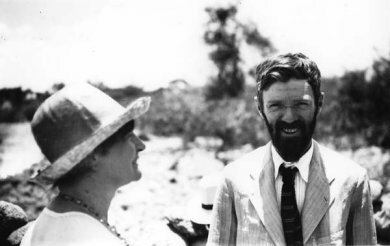 Sure it’s DH Lawrence “Women in Love,” suburbanlife. Sorry it took me so long to response was on vacation.